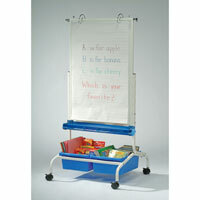 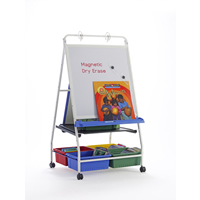 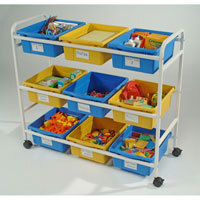 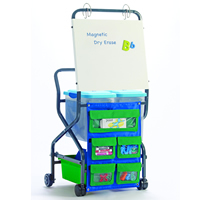 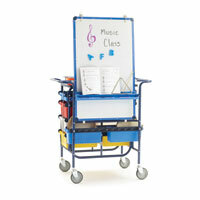 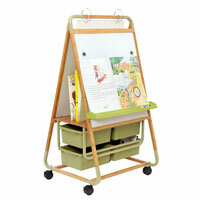 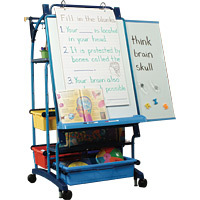 Teacher Carts and Teaching Easels on wheels make storing and transporting lesson materials easy. 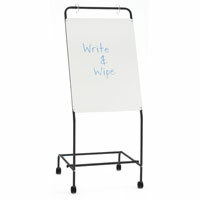 Have students sit around the whiteboard easel for one-on-one lessons or story time. 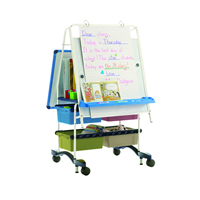 The Teaching Easels with drawers keep track of all your Whiteboard Accessories and other teaching materials. 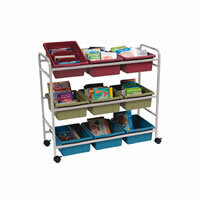 Book Carts, like the Library on Wheels, make it easy to offer a large selection of books to children without juggling or being disorganized. 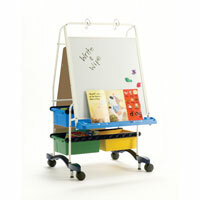 The Art Storage Cart wheels your paint, paper, and art supplies around. 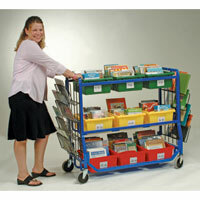 Teacher Cart Accessories keep the mobile teaching easels and teacher carts on top of their game and your arms from getting too full. 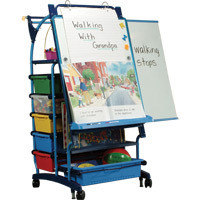 Stock up on Early Childhood Supplies and don�t forget your teaching easel on wheels for convenience and organization!